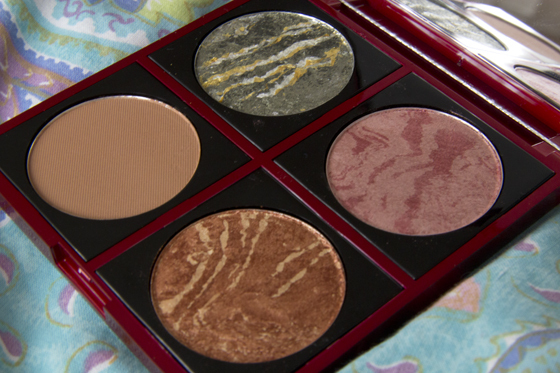 I'm sure most of you had already heard about the Fashionista custom palettes. This is my second one so far and I do really like the palettes. 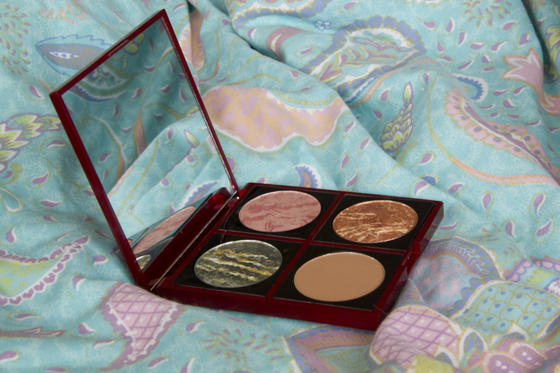 The palette comes with a nice large mirror, which can be very handy while traveling. 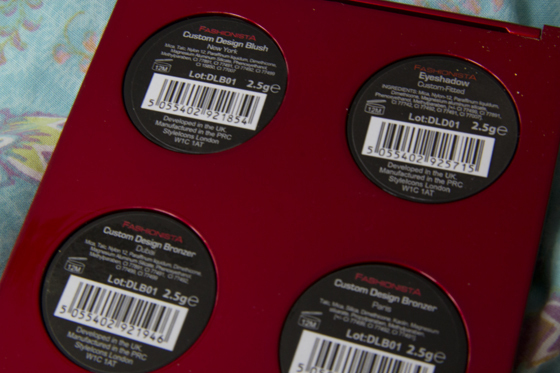 The "products" also comes in smaller single packaging, so you can decide if you want to keep it alone or put it inside the palette. 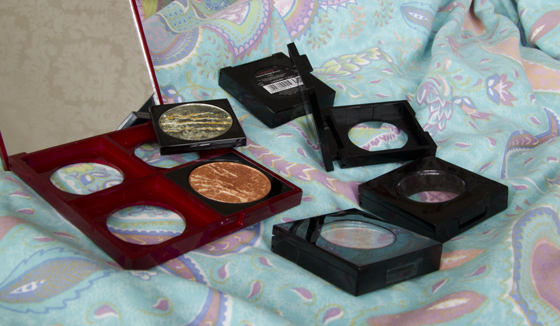 Fashionista products are the same size meaning, that you can mix between eyeshadows, blushers and bronzers. 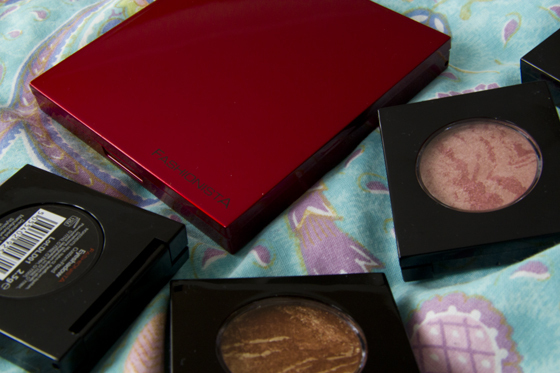 I do really like the way eyeshadow, bronzer and blusher had been marble. It's makes it look so nice. 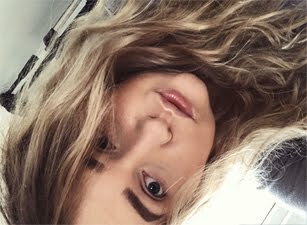 BTW I'm aware that I over used everything on the face photo, but somehow my camera refused to photograph everything, when I done it light handed. 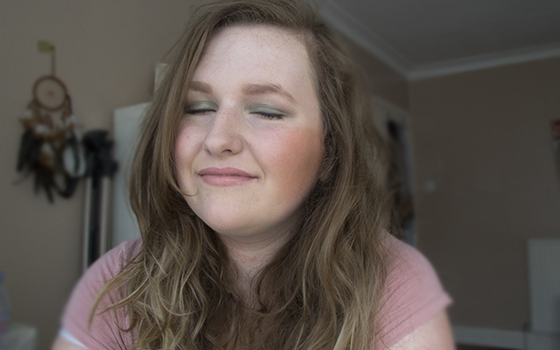 Eyeshadow in Custom Fitted (1): This is very chunky glitter green eyeshadow, it's contains gold and silver glitter. Once you apply it on the lid, somehow most of the chunky glitter falls of. While doing my research I found out, that this eyeshadow looks the best applied wet and I must agree, it does. Custom Design Blush in New York (2): This is such a pretty blush! In my opinion there is no way you could overuse it. Looks so lovely against my pale skin, I always had been scared of pink blushers, as I have naturally very pink cheeks. This blusher made me love pinky blushers. I do really like the colour. It's an soft sheer pink. Custom Design Bronzer in Paris (4): This seems really dark on the swatch and I must say it is, but when I apply it lightly it's works really well. To be honest I ditched Nars Laguna, and started to use this, as I really like it. It doesn't contain much orange, so it's really nice. I also use it to contour. Custom Design Bronzer in Dubai (3): This is another bronzer, it's an highlighting bronzer in my opinion. It's really orange for my skin tone, but I really like using it as an eyeshadow. Mostly in my outer corners. It is shimmery, but doesn't contain large chunks of glitter. It's also has very soft texture.